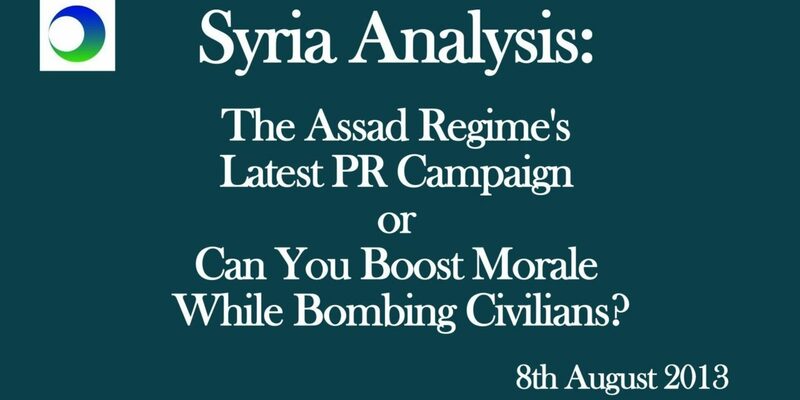 Can the Assad regime boost morale while bombing civilians? 1. What’s going on here with the Assad PR offensive? 2. Can you win just by praising your military? PreviousMiddle East, August 9: Egypt — Government Showdown with Pro-Morsi Protests Today? Richard Langley is a freelance filmmaker and academic based at the University of Birmingham. He has taught at undergrad and masters level, across a broad range of subjects: from American literature and poetry, to documentary film and Hollywood cinema. Richard has also worked at museums, art galleries and at independent production companies, as well as for Google (YouTube). Much of his current work seeks to bring university and filmmaking work together through the development of a rigorous and creative audio-visual academia.